Happy Birthday, Juliette Gordon Low! 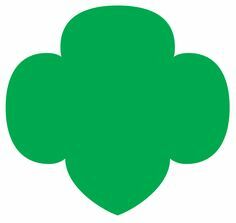 On October 31 we celebrate the birthday of a woman who founded the organization are so proud to be part of – Girl Scouts! Nicknamed “Daisy,” this leader created real change in the area of female empowerment in an era and social class where she was expected to live by rules and not question the status quo. While you may know a lot about her life accomplishments, we compiled some interesting facts that will give you some insight into the woman who became a legend. 1. When “Daisy” formed the first Girl Scout troop in 1912 in Savannah, GA, she envisioned an organization that supported girls of all races, religions and abilities (a radical idea at the time). She insisted that any girl could be a Girl Scout. This mission grew into the world’s largest educational organization for girls, with over 3 million current members and 59 million alumnae. 2. She was able to stand on her head and even did so once in the board room of the National Headquarters to show off new Girl Scout shoes! 3. While in finishing schools as a young woman, she broke the rules quite frequently and got into a lot of trouble doing things like hiking, exploring and playing tennis. 4. She was mostly deaf due to injuries in her younger years. As a child she had a brain fever that resulted in hearing loss. Then, during her wedding at the age of 26, a piece of rice got lodged in her ear canal, causing further damage. Her nephew wrote that she used this to her advantage when founding Girl Scouts by pretending not to hear when someone said they didn’t want to volunteer or donate to the organization. 5. She helped organize troops to support war efforts during WWI. Troops collected peach pits (aided in producing masks that protected soldiers from chemical warfare), sold war bonds, tended to gardens and learned first aid to support the US. 7. She has a ship named after her! In 1944 the US launched a “Liberty Ship” named the SS Juliette Low. 8. She grew up in a house divided during the Civil War. Her father was a Georgia-born Southern man who believed in the Southern secession and her Northern-born mother supported the Union and believed in abolition. Juliette’s childhood was a world where family members fought on opposing sides of the war, her father was away fighting and angry neighbors who didn’t understand their conflicting family beliefs. 9. Toward the end of the Civil War, Juliette lived with her maternal grandparents while under the protection of General Sherman. This is where she encountered Native Americans and their culture for the first time. She would continue to appreciate the culture for the rest of her life. 10. When Girl Scouts needed money, Juliette would put personal restrictions on her lifestyle so she could give more. For example, she wouldn’t use electricity in her house until after 5p to save money and even sold a prized pearl necklace to support the organization for another year. What an inspiring woman! Thank you, Daisy, for all your hard work in creating life-changing experiences for millions of women. If you’d like to learn more about Juliette Gordon Low, we recommend this video series from Girl Scouts of the USA on her life. You can continue the tradition of philanthropy that Daisy started by checking out Daisy’s Circle – a monthly support initiative from Girl Scouts! It’s the perfect way to honor her life. What does Juliette Gordon Low mean to you? Comment below!!!! “When I was younger, I thought it was all about the fun. As I got older I started seeing how Girl Scouts was teaching me things that I wasn’t learning in school. [It] strengthened my leadership skills. That’s something I really value now, and I don’t think I knew that was happening while I was in Girl Scouts,” GS Alumna, Jaime Hay says. The founder of the reestablished student group at the University of Kansas, KU Campus Girl Scouts, Jaime Hay has embodied the qualities of a great Girl Scout since joining as a Daisy. As an alumna, Jaime is continuing to make a difference by helping other girls bridge to their alumnae status. Even though she’s getting ready to graduate with a bachelor’s degree in Social Work and continue her life of service in the community, Jaime is leaving her campus with a lasting legacy. Jaime has been a model of perseverance from the start. Despite having her first troop disband and a second not work out, she keep trying and found her home in Troop 918 in Lenexa, Kansas. Troop 918 became a group of lifelong sisters who pushed her to succeed. “We all had the desire to push ourselves and accomplish big things. We’re still really great friends and meet every Christmas for a holiday party,” Jaime said. Since Jaime is an only child without siblings to lean on, the troop became a vital support system outside her school friends. In 2013, Jaime earned the Gold Award for her project “Adopt-A-Grandparent.” This project at Lakeview Village Retirement Community connected residents with a child daycare. She created sessions where the residents and kids could be matched and do activities like nature walks and crafts. “I think it really brightened the day of the residents. Some of [them] were past teachers and they liked reconnecting in the way they knew how, so it was really cool to see,” Jaime said. Gearing up to be a freshman at the KU and moving to a new city, Jaime knew she wanted to stay involved with Girl Scouts. “Once I graduated high school and got my Gold Award, I really wanted to stay involved, but I wasn’t sure how. I thought having a group where people could get connected on campus would be a good way to facilitate that,” Jaime said. During the summer of 2014 – she did just that. Jaime landed an internship with our council and was given the opportunity to work on the initiative to engage college alumnae with CEO Joy Wheeler. During this time Jaime reestablished KU Campus Girl Scouts which had been on the campus before, with articles mentioning them back as far as 1969, but had since dissolved. KU Campus Girl Scouts have volunteered with local troops, in the community and on campus. Currently, their biggest annual event is called Pizza with Pals & Night Prowl – a long standing event for local troops that the group has been asked to organize. Like a true Girl Scout, Jaime participated one year as an assistant troop leader…and stepped up to lead it the following year! They’re also working on the first annual Hidden Valley Teen Jamboree, set for Spring 2016. To top it off, this inspiring woman started a second service group at KU – Jayhawks DREAM. This group tutors at the juvenile corrections facility in Topeka. What a great example of Girl Scout initiative! Fellow KU Campus Girl Scouts member, Sara Schwalm, shares Jaime’s passion for this organization. “I really enjoy the activities we have gotten to help with and that we have the opportunity to show the girls what women are capable of. I may be graduating this year, but I hope that I can help our group in the future as well,” said Sara (Doctor of Pharmacy Candidate for May 2016, Troop 183, Camp Daisy Staff 2009 and 2011). Jaime has brought her Girl Scout experience full circle by becoming a troop leader for Senior Troop 7579 in Lawrence. “I really look up to all the troop leaders I’ve had, they’re really important people to me. It was something I wanted to give back and provide that experience for other girls,” Jaime said. She loves seeing her girls experience life and learn from Girl Scouts. “[It’s] fun to see where they fit into that high school experience while still valuing Girl Scouts. I think this year they gained a new appreciation for it,” said Jaime of her troop. What a great example of how Girl Scouts is a lifelong adventure! We can’t wait to see how Jaime continues to be a model Girl Scout and inspiration to young women. Check out their website if you’d like to know more about KU Campus Girl Scouts and this amazing leader! If you’ve had the opportunity to work with Jaime or KU Campus Girl Scouts, please comment below and share your experience! Cookie Construction 2016: Dream. Design. Do. Outdoor Adventure. This year’s theme is Dream. Design. Do. Outdoor Adventure. For the next five months, Girl Scout Cadettes, Seniors and Ambassadors will work in seven teams alongside volunteer female design professionals to create three-dimensional structures out of Girl Scout Cookie boxes incorporating the theme. Their work will culminate with Build Day on March 5 at Crown Center where each team will construct their designs to be critiqued by a panel of judges! Cookie Construction is a collaboration between The American Institute of Architects Kansas City (AIA Kansas City), Women in Design Kansas City (WiD-KC) and Girl Scouts of NE Kansas & NW Missouri and was inspired by a similar partnership between Girl Scouts of North Texas and AIA Dallas. Our Girl Scouts are working with the best of the best in the field. The 30 female mentors are respected professionals and accomplished architects, interior architects and design professionals in the community. Research tells us when girls see females in their professions, they are more likely to consider them as viable careers for themselves. While the Cookie Construction is exposing girls to careers in architecture and design and teaching them soft skills, the mentors are also learning their fair share! AIA Kansas City is excited to give its members another way to get involved in the community. “It was a natural fit to partner with Girl Scouts to expose young women to these careers; girls need to see successful women like this,” Tiffany, AIA Kansas City Deputy Director said. Some of the projects females at the participating firms have worked on include the Kansas City Museum, Roasterie Café, Lakeside Nature Center (International Architects Atelier), Levi’s Stadium in San Francisco, Arizona State University Stadium and the University of Kentucky Stadium (HNTB), just to name a few. “We’re creating awareness for the design field, girls are seeing these buildings and remembering that a woman played a role in building it,” Tori Jacquio, WiD-KC board member said. Going into the second year Tiffany, Sam and Tori are now seeing the lasting impact this program has on girls. Those who were shy and timid on their teams last year have found their creative voices and are stepping up as leaders on the teams this year. We can’t wait to see what these teams create on Build Day! Thank you to the mentors and their architecture and design firms for helping build girls of courage, confidence, and character! Jamie Picow Interior Designer DineEquity, Inc. STEM, Art and Culture – Oh My! What do you get when you combine 4.5 acres of wooded area, an outdoor music center and hands-on activities that promote STEM? One of our community partners located in Topeka, Kansas – The Kansas Children’s Discovery Center! This Community Partner is great for Daisy-Cadette Girl Scouts and offers a unique combination of wild and manicured outdoor areas as well as indoor science and art zones. Kids can learn and play in outdoor obstacle courses, clubhouses and explore natural wildlife like the tall prairie grass on-site. Indoors – everything is ready for interactive fun! The Discovery Center is a wonderful partner for troops because it houses unique resources thanks to large support from the community. While the Discovery Center has a wide range of programs to choose from, engineering has become a focus of their programming. If you’re looking for STEM activities, you’ll want to visit! Engineering programs include a Seismic Design program and a Geodesic Dome program that teach Girl Scouts about “the strength of shapes and they actually built a large scale geodesic dome they could then sleep in, out of just paper rods. [That] was really fun for girls – very hands on,” said Hennessey Springe. But it’s not just all art and science – the Discovery Center is branching out to new, cultural programming! Are you ready to travel to China? Don’t worry – you don’t need a passport for this trip! Check out the upcoming Snore & Explore: Children’s China: Celebrating Culture, Character & Confucius in November (Daisy & Brownie) or December (Junior & Cadette) 2015. We got a sneak peek at the structures currently being built for this event and WOW – they look amazing! Part of the facility is being converted into a life-size getaway for Girl Scouts to see what it’s like to be a child in China today! They’ll learn about the Lunar New Year, participate in a dragon parade, interact with a Cultural Ambassador, write using key Chinese Characters and learn about printmaking. There are even silk worms currently being raised at the facility to teach participants about the process of creating silk! What an exciting event for our Girl Scouts. If your troop is looking for science related activities, the Kansas Children’s Discovery Center offers private Girl Scout Snore & Explores in a variety of topics. While they require a minimum of 30 participants, these events can be scheduled at a time that works for your troop (or a couple of troops) and can be designed based on your troop’s unique needs! Current Snore & Explores focus on water conservation (Water, Water Everywhere), forensics (CSI – Who Dunnit?) and ecology (Do The Dome!). Girl Scouts can even complete badge requirements! Let imaginations soar as they create mini rain showers, learn how to lift fingerprints, explore evidence or work in teams to build a dome! Looking for program that isn’t an overnight adventure? Shorter, 1 ½ hour programs help Girl Scouts progress toward their Home Scientist and Inventor Badges by working in the KCDC’s STEAM Lab! Here, they can look at electricity, make a mess with science experiments and find out what it takes to invent a new phone! As a Community Partner, the Kansas Children’s Discovery Center aims to connect leaders and troops to unique activities that help girls excel. “Everything we do is very hands-on and we really try and think outside-the-box in terms of activities because we don’t want to imitate what a troop leader can do in an evening meeting. We have different resources and partners and different skills, so I want us to provide things leaders can’t do on their own,” Hennessey Springe said. What a great resource for troop leaders and parents! We love this community partner and their dedication to education, science, art and culture. If you’ve had a day out at this facility, please leave us a comment below and let us know how great your trip was! For Martha and Marlen, working at Girl Scouts isn’t just their job, it’s their passion. Collectively, these two are troop leaders and mentors for more than 100 girls in 10 troops in the Outreach Program and are mothers of five Girl Scouts themselves! It was Juliette Gordon Low’s vision that all girls could be a Girl Scout, learn new skills they may not have an opportunity to anywhere else and make a difference in their community and beyond. Through the Outreach program, Girl Scouts of NE Kansas & NW Missouri employs program leaders like Martha and Marlen, to provide the Girl Scout experience to girls in 24 schools located in the Kansas City, Missouri and Kansas City, Kansas school districts. Martha and Marlen are both team leads for troops at schools in the KCK district. In this leadership role, they are serving girls, managing a team, working with the school administration and are translators for Spanish speaking students and parents. Martha and Marlen have similar backgrounds; they are both Mexican immigrants, relocating to United States and ultimately to Kansas City, Kansas with their families when they were children. Martha was 5 and Marlen was 11. “Our background really connects us with the families in KCK. It helps that were able to understand the culture and the culture differences and it helps that we were both raised in the community,” Marlen said. They are building trust within their community and showing that Girl Scouts is a program that provides an abundance of opportunities to girls. There’s a stigma in their Hispanic culture that boys are superior to girls and that men are the ones who hold the leadership positions within the family and community. In the United States these families are being exposed to the idea that men and women are equal, but Girl Scouts is actually showing them that. Martha welcomes Girl Scouts back to a new year at a reinvestiture ceremony. Martha and Marlen are working to inspire young Latina women, through Girl Scouts, that girls can be anything that they want to be. However, Martha and Marlen will tell you it’s Girl Scouts and their girls that are inspiring them. We see the impact the Outreach Program has on the girls, but we don’t always think about the impact that working with girls has on adults, especially Martha and Marlen. It wasn’t until three years ago that the government passed legislation that gave Martha and Marlen the right to work in the United States. When their families immigrated to the United States more than 20 years ago, Martha and Marlen were undocumented. However, they both grew up here and as they have become adults, they have established themselves within the community. “We’re immigrants and we work hard. We went to school here and we want to be part of this community,” Martha said. Working at Girl Scouts is only the second job that Marlen has had, and she is learning more about herself in this role. Marlen plays a get to know you game to kick off one of her troop meetings! “Girl Scouts makes me feel secure and helped me find my patience. I didn’t think I was patient, but I realized I am,” she said! For Martha, the opportunity to work at Girl Scouts has made her realize her purpose. Martha and Marlen aren’t just Girl Scout staff members or troop leaders. They are mentors and role models to the girls they work with. They are the ones teaching the girls, and showing them, that they can be anything they want to be. 6 Inspiring Women to Celebrate In Costume! Halloween is just around the corner! Maybe you have a fun party to attend or a great Trunk-or-Treat event. It’s always fun to do a little dress up, and even better – become an inspiring woman in history. Not only can you take on her persona, but you can also learn a little bit more about her as you prepare your costume. We have six inspiring women for you to consider. And of course we must begin with our Founder Juliette Gordon Low! Known affectionately as “Daisy,” Juliette Gordon Low was the founder of Girl Scouts of the USA. She envisioned an organization that would empower women through education and experiences traditionally reserved for men. Her legacy has changed the lives of millions of girls for over 100 years. Costume: For this famous Girl Scout, you’ll need a beige or dark dress with buttons and a collar with a brown belt around the waist. With stickers or fabric, cut out 3 trefoils (two smaller, one larger) and stick the two smaller ones on the front sides of the collar. Then, find a brown fedora hat (think Indiana Jones style) and with a dark green, wide ribbon, make a band around it, and attach your large trefoil on the front. Get an old book you can mark up and write “Girl Scouts” across the front to look like you’re on official Girl Scout business. In 1955 Rosa Parks took a bus ride that would make her an icon. She refused to give up her seat on the bus, an act of courage and defiance that lead to one of the most important protests in the Civil Rights Movement. She’s remembered as a woman who proved that one person can make a change in the world. Costume: This is a pretty simple costume – but what an inspiring woman to celebrate! To replicate the above photo with MLK Jr., find a black and white striped button up shirt with a collar, sleeves rolled to the elbows. Then, look around local thrift stores or your closet for a black sleeveless dress to put over the top. Put on some older style thin reading glasses and pull your hair back in a low braided bun. Now you’re ready to celebrate this amazing woman. You’ve probably seen this popular American woman in movies like Night at the Museum 2 and Amelia, but do you know what an impact she had on history? Just to name a few records she set, Amelia was the first woman to fly across the Atlantic, the first person to fly solo across the Pacific and was even planning to teach the First Lady, Eleanor Roosevelt, to fly! Talk about an inspiring woman who took STEM women to new heights! Costume: First, look around for some large aviation goggles or make your own out of chemistry goggles here. Next you’ll need a fitted brown leather jacket, tan or cream pants, any white shirt (button up is best) for under the jacket, tall brown boots and a white scarf. Walk with confidence – Amelia was a public figure and loved the spotlight! This famous female explorer can be seen on the U.S. $1 dollar coin released in 2000 and was the only woman on Lewis & Clark’s exploration of the American West. She served as a guide, an interpreter, negotiator and natural medicine advisor on the journey – all with a new baby travelling at her side. Her work ensured the success of one of the most important voyages in American History. Costume: Native American dresses can easily be found in most Halloween stores. A traditional beige (deer skin style) dress with fringe will let you be creative with this costume. Adorn with beads, braids, and do some research to learn about her heritage! Traditionally she is seen with two long braids as a hairstyle. Set off on your own adventure this Halloween as this inspiring explorer. This internationally famous sharpshooter is synonymous the wild west and even inspired a musical about her life – Annie Get Your Gun. When she was just 15 Annie Oakley made enough money as a performer to pay off the mortgage on her family’s house AND beat a famous male sharpshooter! She was a successful business woman who showed the world that girls could do anything boys could do. Costume: For an Annie Oakley costume, you’ll need a long brown skirt and button-up country shirt (maybe even a leather vest if you can find one) that’s belted at the waist. Once you have the dress ready, grab some cowgirl boots, a cowgirl hat and a fake rifle and you’ll be ready for your debut! In 1991 Ellen Ochoa became the first Hispanic female astronaut. This inspiring STEM woman went on to log more than 950 hours in space and receive several awards from NASA – including the Exceptional Service Medal in 1997. She is also a classical flutist and the photo above shows her playing the flute while in space! Costume: Have a blue jump suit? This is a great choice for you! With a couple of makeshift patches (out of fabric or paper), create some fun NASA and American Flag badges and adorn your blue jumpsuit with them – don’t forget a name tag (Ellen Ochoa)! Just a pair of white shoes and you’ll be ready to launch into Halloween. If you play the flute, bring it along as a conversation starter! Of course there are many more possibilities. Share your inspiring costume idea with us! When observing Cadette Girl Scout Troop 890’s executive board meeting you might think you’re actually attending our council’s formal board meeting. The four executive board members follow an agenda put together by their president, utilize Robert’s Rules of Order, and vote on ideas to propose to their troop all while the secretary feverishly takes notes. Troop 890, from Overland Park, Kansas is in their first year as Cadettes. They are looking forward to all the exciting things they get to do and the troop leaders are excited about the new ways they can be girl-led at this new level! Troop leader Becky Riggs, (or “Cricket” as the girls call her) brought the idea of forming an executive board to her troop. “Sometimes we lose track of what we’re doing and start playing around. The leaders help redirect and also help operate the hot glue gun!” Samantha, the troop’s vice-president explained. The President and Secretary share their Executive Board notebook with their Girl Scout sisters. As you might have gathered, these girls are mature beyond their years and already see how this new format will benefit them. “We need to get over our shyness,” Mackenzie said. By the way Mackenzie led their board meeting, you would have never guessed that she considers herself shy. There are four positions on the executive board, president, vice-president, treasurer and secretary; each one is elected by the troop. Before the elections, every girl in the troop was given an information packet about executive boards and the roles and responsibilities of the positions. Girls then ran for the position that interested them. “I’ve always liked doing math, so I thought I would be good at treasurer,” Lucy said. The executive board will serve a six month term. At that time they will hold elections again and four new girls will serve on the board. This format will continue until all 12 girls have held a position. The girl-led experience isn’t restricted to just the executive board, other Girl Scouts are still stepping up to lead activities in the troop meetings. Abby has a special interest in archery and volunteered to lead the troop through steps of the archery badge. She attended the executive board meeting, so she knew what to expect at the troop meeting that week. “From what I’ve seen tonight, they’re doing a pretty good job,” Abby said of her troop’s executive board! The troop meeting that week ran smoothly with the leadership of the executive committee, the archery knowledge of Abby and the hot glue gun operating by Cricket! The troop completed the necessary steps to earn their archery badge and left the meeting prepared to complete the remaining steps at their campout the following weekend! We can’t wait to see the leadership skills that the girls in Troop 890 develop in this girl-led format! If you have questions about how troop leaders Becky and Kelly manage this girl-led format, we would be happy to connect you to them – let us know in the comments or send us an email to prdept@gsksmo.org! Like many of our volunteers, Denisse Osorio de Large is a Girl Scout Alumna. However, her Girl Scouting experience took place in Colombia, South America as part of the World Association of Girl Guides and Girl Scouts (WAGGGS)! Denisse fondly remembers memories she made with her troop including trips to the capital with her troop, camp-outs and the uniforms she wore! Denisse and her younger sister in their Girl Scout uniform in Colombia. Denisse moved to the United States more than 16 years ago to attend college and study computer programming. Her plan was never to stay in Kansas City, but as fate would have it, she met a fella named Steven through a mutual Colombian friend. Like Denisse, Steven also had fond memories of Scouting as a child. He was one of the youngest Boy Scouts in Weston, Missouri to earn the Eagle Scout Award. Naturally (we believe! ), Steven and Denisse hit it off! Fast-forward a few years and Denisse is the mother of a second-year Daisy Girl Scout, Isabella, a future Girl Scout, Olivia and the wife of the troop leader! And in the Large household, the family celebrates their Colombian heritage and speaks solely Spanish; all four members of the family are bi-lingual! So when we had the idea to translate our most informative recruitment piece, Why Girl Scouts, to Spanish, we knew just who to ask! Lucky for us, Denisse said yes! Thanks to Denisse’s knowledge of Girl Scouts and her fluency in Spanish, she helped us create a piece that will benefit thousands of other Spanish speaking families in our council’s area. It is no small task to translate a four-page document into Spanish! It would take a professional translator more than eight hours to do so. “You have to make sure the words mean what you intend them to mean to your audience in that language,” Denisse said. For example, she explained that ‘muchacha’ is a typical Spanish word for young girl, however ‘muchacha’ has a negative connotations in some Latin American countries. Today, Denisse is a Director of Population Health Engineering Operations at Cerner and the chapter leader of Girl Develop It, Kansas City – a nonprofit that teaches adult women computer coding. When she and Steven attended the Girl Scout info session last year with Isabella, Denisse didn’t feel that she had the capacity to serve as a troop leader but still wanted to see her daughter and her friends have a Girl Scout experience. “I already made the commitment to Girl Develop It, I couldn’t take on one more thing,” Denisse said. At Girl Scouts, we need volunteers in all different capacities and we are forever grateful to Denisse for her translation skills and to Steven for being the leader of Daisy Girl Scout Troop 1095! If you are looking to volunteer for Girl Scouts, as a troop leader or in another capacity, we need you! We are happy to provide more details and connect you with opportunities in your area of interest and where you reside. Just email us to begin that conversation, and know that you are saying YES to building our next generation of leaders! When you grow up with horses and compete in horse competitions, it takes a special program to impress an elite equestrian. Kellie Holm is a Girl Scout Senior and is an equestrian enthusiast, horseback riding since she was just 18 months old. Her first horse was a gift from her aunt, and Kellie has been competing ever since. Kellie was so advanced for her age that competitions asked her to move from the youth division to the adult one. The first time she moved up, she took third place, at the ripe age of 7. So, when Kellie’s mom (and troop leader) came home with information on a destination that was equestrian- focused, Kellie wasn’t instantly sold. However, Kellie wanted to participate in a Girl Scout destination. She is a well-versed traveler and was looking for a new experience through Girl Scouts, so she decided to go ahead and register for the Happy Trails destination at Camp Misty Mountain in Arumchee, Georgia. Kellie flew into Atlanta and made the 2 hour trip north with staff from Misty Mountain (a Girl Scout Camp in the Greater Atlanta Council). Upon her arrival she met the 22 other Girl Scouts from all over the country that she would be riding with for the next week. On the first full day of the destination, the equestrian staff met with each Girl Scout individually to assess their skill level. Naturally, Kellie was the most experienced rider at camp, but she wasn’t alone. This was the first time she had met other Girl Scouts who had the same passion and level of expertise when it came to horses. “I was little worried it would be like all the other camps for beginners. They were really great about catering it to everybody’s level,” Kellie explained. The girls were divided into groups for the week, but each group interacted with each other during riding times. “It was nice to have other girls there who could relate to things about horses! We could have conversations about horses and showing [them] that made sense to each other,” Kellie said. While there aren’t many things that Kellie hasn’t done with horses, she did have an equestrian “first” while on her destination, she went on a horseback riding overnight! One evening they packed overnight bags and saddled up their horses for a 2 hour ride out from camp. Her group set up a campsite for the night, tied their horses up in a pasture and they slept under the stars! The next morning they made breakfast and rode the two hours back to camp! Throughout the week Kellie got to ride and continue practicing her skills. One of her favorite things was seeing other girls, those who don’t have as much equestrian experience as her, work on their own horseback riding skills. At the end of the week Kellie found herself talking to the staff about returning next year and the possibility of her participating in a Wrangler in Training program! After such a rewarding experience, Kellie hopes to see more girls travel and explore through Girl Scout destinations. The first round of applications for the destination program are due by November 15! There are over 35 domestic and international travel opportunities for Girl Scouts who are looking to expand their horizons, try something new, or learn more about something they’re already passionate about! See the full list!